Today, FSI is unveiling several new and upcoming products, features, and partner integrations, many of which will be showcased at this year’s NAB Show in Las Vegas. 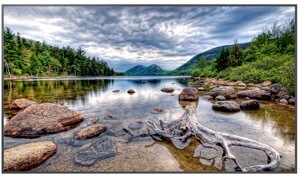 • Real-time downscaled 3G/HD-SDI output for downstream HD monitors. XM31K coming late 2017, private demonstrations starting summer 2017. The world’s first real-time waveform and vectorscope transmitted directly from your reference monitor to your computer without the need for additional equipment. 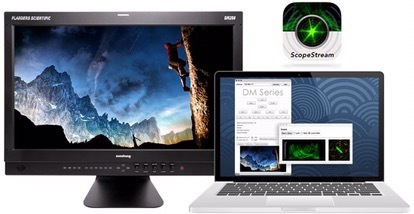 Simply connect your DM series monitor and computer to the same network and use the ScopeSteam utility for Mac or PC. Waveform and vectorscope transmitted directly from your BoxIO to your computer without the need for additional equipment. 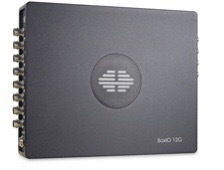 Simply connect your BoxIO and computer to the same network and use the ScopeStream utility for Mac or PC. Update adds support for new MacBook Pro Touch Bar, additional HDR grading formats and more ! Fremont, California – December 14, 2016 – Blackmagic Design today announced a new DaVinci Resolve 12.5.4 update for its professional editing and color correction software. DaVinci Resolve 12.5.4 features support for the new MacBook Pro Touch Bar, additional Rec. 2100 and 2020 support for high dynamic range workflows and more. DaVinci Resolve 12.5.4 update is available now for both DaVinci Resolve and DaVinci Resolve Studio customers, and can be downloaded free of charge from the Blackmagic Design website. Product photos of DaVinci Resolve 12.5, and all other Blackmagic Design products, are available at http://www.blackmagicdesign.com/press/images. Setting up and importing media.